If you're looking at renting your home it's a good idea to know your rights whether your are a tenant or a landlord. As a tenant you have the right to live in a property that's in a decent state of repair, to live in the accommodation undisturbed and to be protected from unfair rent and/or eviction - all of which (and more) will be covered in your tenancy agreement which should be signed by you and your landlord before you move in. 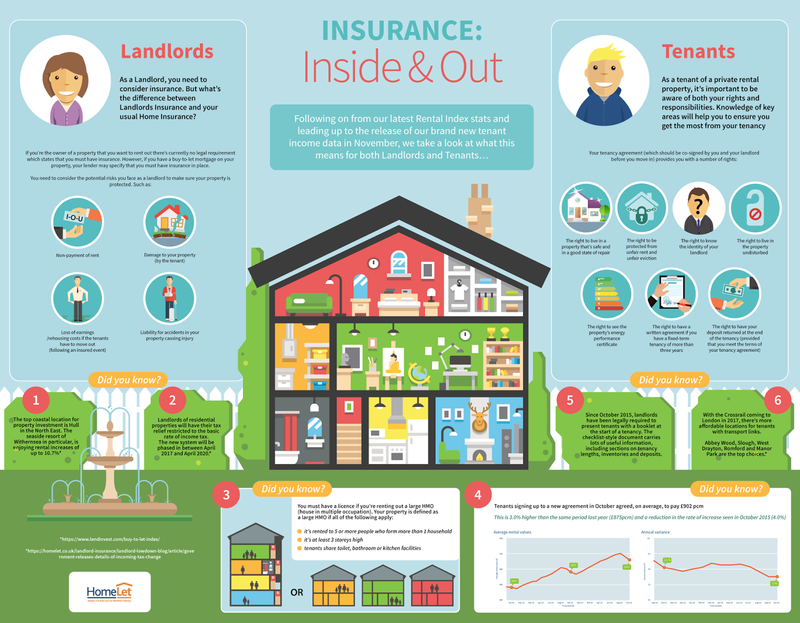 Landlords need to ensure that they are protected from non-payment of rent and expenses incurred by damage to the property but there's no legal requirement for landlords to have insurance (however, the mortgage lender may insist on it and there are some great deals on landlord insurance to be found). Here's a fabulous infographic from HomeLet which may help answer some of your questions. This is a featured post. To find out more, please read my disclosure policy.